A1 Drive Shaft VIC P/L offers high-quality CV boots that could keep the CV joint in its place. 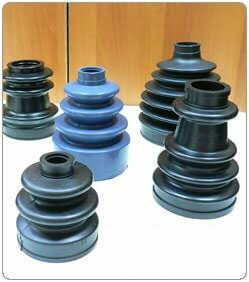 We supply CV boot of top-notch quality that could protect your CV joint from any damages. If any grease comes out of a small tear or crack, then your CV joint boot need replacing. At A1 Drive Shaft VIC P/L, we stock CV boots that keep your car delivering maximum performance. We offer peace of mind to all our customers across Victoria by providing quality CV boot for vehicles of all makes and models. If you notice leaking grease from your driveshafts, we recommend replacing the CV boot immediately to avoid further damage the CV joints. Talk to our experts and get their assistance in choosing the right CV boot for your vehicle! For quality CV boots in Melbourne, Call (03) 9417 5859.